We offer Guided Walks in this area - covering rural Gateshead and Country Durham around Beamish, Tanfield, Causey Arch and Derwentside. 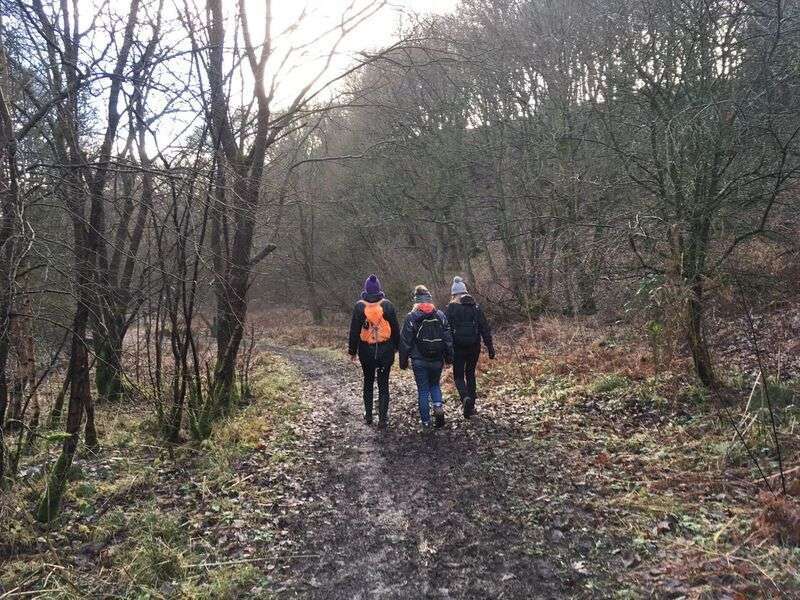 Fiona, who leads the walking, is a qualified Day Walk Leader with great local knowledge and can show you many undiscovered areas and sights on the paths and in the woodlands nearby. Walks can be arranged to suit all ages and abilities, whether you want to push a buggy, get your 10,000 daily steps in, or go on a long ramble of 8-10 miles ending at the pub. You don't have to go too far from home to have a great day out walking. Over 50% of Gateshead is made up of countryside and it's right on our doorstep. Within a couple of miles of our site are some of the hidden gems of this region including Hedley Hall Woods and Ridley Gill, Ousbrough Woods, Beamish Woods and Causey Gill. Walks can start or end from site or can include refreshment stops at any number of local cafes and country pubs nearby.